Single vision lenses are just that—they correct a single, particular vision such as distance if you're nearsighted (a condition called myopia) or close up if you're farsighted (a condition called hyperiopia). Bifocal lenses have two vision zones separated with a visible line. The bottom segment provides correction for close up. The top part of the lens provides correction for distance vision. Bifocals represent a different way of looking at the world, but most people adjust quite easily. More natural correction for all distances without older-style bifocal lines.Progressive lenses (also called "no-line bifocals" or "progressives" for short) correct for varying distances without the visible, older-style segment lines seen in bifocal or trifocal lenses. 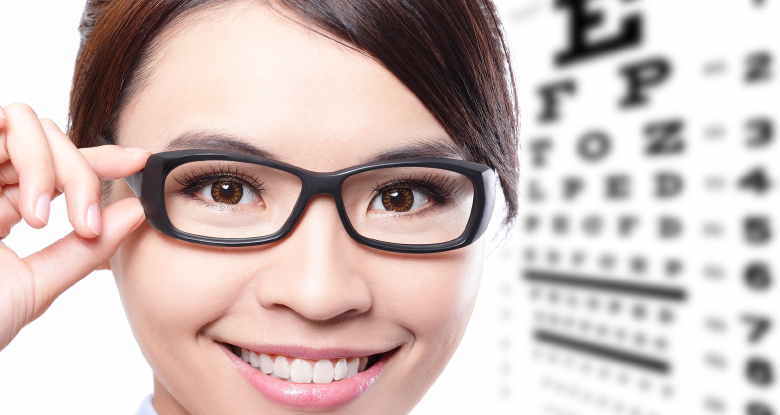 Progressive addition lenses offer a continuous, gradual change in prescription strength from the lower (reading correction) to the upper (distance correction) portion of the eyeglass lens, providing correction for all distances. Progressive addition lenses are preferred to bifocals or trifocals because they provide the most natural correction and are the most attractive to wear-and because they avoid the "image jump" experienced in bifocals or trifocals when eyes move from one distance zone to another. There are a variety of options available to meet your specific progressive lens needs, including thin and light lenses, impact-resistant polycarbonate, even adjustable tint lenses.